ASOS DESIGN Leather Look Midi Aviator $110 Free US Shipping! Nike White And Black Small Logo Hooded Jacket $55 Free US Shipping! New Look Plus New Look Curve Detachable Faux Fur Collar Biker Jacket $64 Free US Shipping! Kappa Tracksuit Jacket With Logo Front And Banda Logo Taping Co Ordwhite $97 Free US Shipping! NA-KD Co Ord Logo Track Jacket In Black $58 Free US Shipping! Penfield Mattawa Fleece Jacket $168 Free US Shipping! G Star Beraw Zip Thru Bomber Jacket $110 Free US Shipping! adidas Originals Adidas Original Three Stripe Track Jacket With Vintage Logo In Black $110 Free US Shipping! 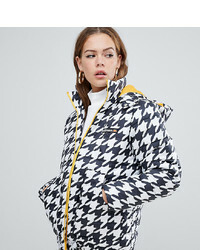 Ellesse Padded Jacket With Contrast Lining In Houndstooth $103 Free US Shipping! 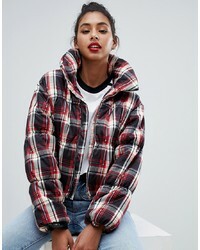 PrettyLittleThing Statet Collar Padded Check Coat In Multi $77 Free US Shipping! 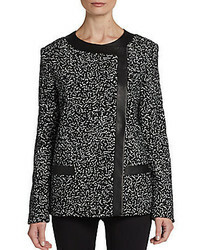 Emory Park Trucker Jacket In Houndstooth Co Ord $51 Free US Shipping! 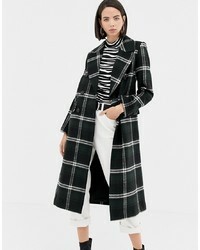 Warehouse Double Breasted Tailored Coat In Green Check $142 Free US Shipping!